Such is our reliance on electricity that a prolonged blackout would jeopardize transport systems, the supply of fresh water, communications and banking. Cyberattacks on essential services like the power grid and water systems are increasing. While steps can be taken to improve the cyber resiliency of today’s systems, it is also important to create secure-by-design systems for tomorrow. 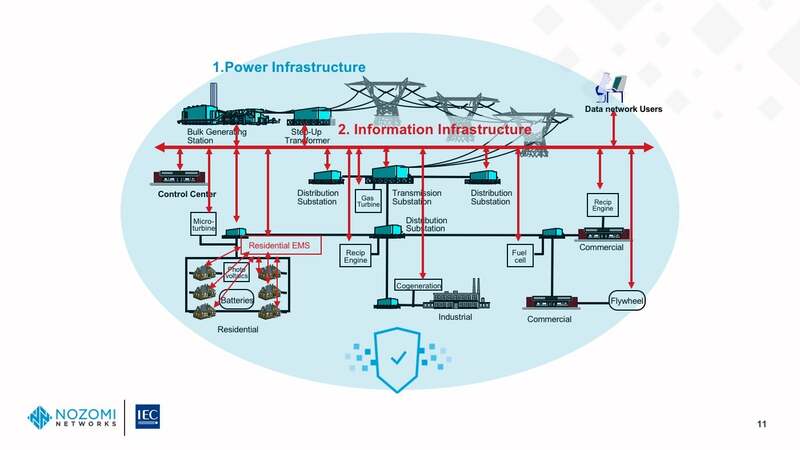 Critical infrastructure facilities, whether they are power plants, national railway and local underground systems or other forms of public transport, are increasingly being targeted. Cyberattacks could cut off the supply of electricity to hospitals, homes, schools and factories. We rely so heavily on the efficient supply of electricity that its loss would also carry heavy implications for other vital services. A number of incidents in recent years demonstrate not only that the threat is tangible, but also that on more than one occasion we have escaped nightmare consequences by the skin of our teeth. The 2010 attack on Iran’s nuclear plant at Natanz has a special place in the history books. The so-called Stuxnet malware made its first public appearance then, bringing the nuclear plant to a halt. The Stuxnet worm was engineered to damage motors commonly used in uranium-enrichment centrifuges by sending them spinning out of control. It succeeded in temporarily disabling 1,000 centrifuges. What these incidents show us is that for at least the past decade hackers have been creating malicious code that targets operational technology. The fact that all three were triggered by malware also illustrates the need to adopt a holistic approach to cyber security that incorporates processes, technology and people. The chief executive of cyber specialists Security in Depth, Michael Connory, recently told the Australian Broadcasting Corporation (ABC) that, “Ninety per cent of cyberattacks worldwide begin with an email”. It is axiomatic that security can only be as strong as the weakest link in the chain. The other key issue is understanding the difference between IT and OT. Operational technology is becoming increasingly accessible, with threat vectors now extending to base-level assets such as smart thermostats. The challenge is that cyber security programs are too often led by an IT approach. In reality, the operational constraints in industry sectors such as energy, as well as manufacturing, healthcare and transport, mean that an approach to cyber security that also safeguards OT is needed. The primary focus of IT is data and its ability to flow freely and securely. It exists in the virtual world, where data is stored, retrieved, transmitted and manipulated. IT is fluid and has many moving parts and gateways, making it highly vulnerable and offering a large surface for a wide variety of constantly evolving attacks. Defending against attacks requires safeguarding every layer, continuously identifying and correcting weaknesses to keep data flowing. OT, in contrast, belongs to the physical world, where it ensures the correct execution of all actions. While IT has to safeguard every layer of the system, OT is about maintaining control of systems which may be on or off, closed or open. OT systems are designed for specific actions such as ensuring that a generator is switched on or off, or that an overflow valve is open when a chemical tank is full. Everything in OT is geared to physically moving and controlling devices and processes to keep systems working as intended, with a primary focus on security and increased efficiency. 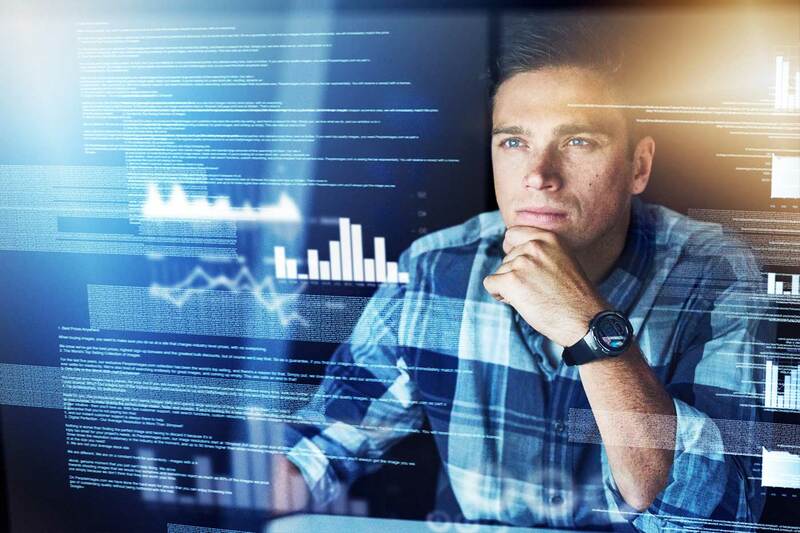 With the emergence of the industrial internet of things (IIoT) and the integration of physical machines with networked sensors and software, the lines between IT and OT are blurring. 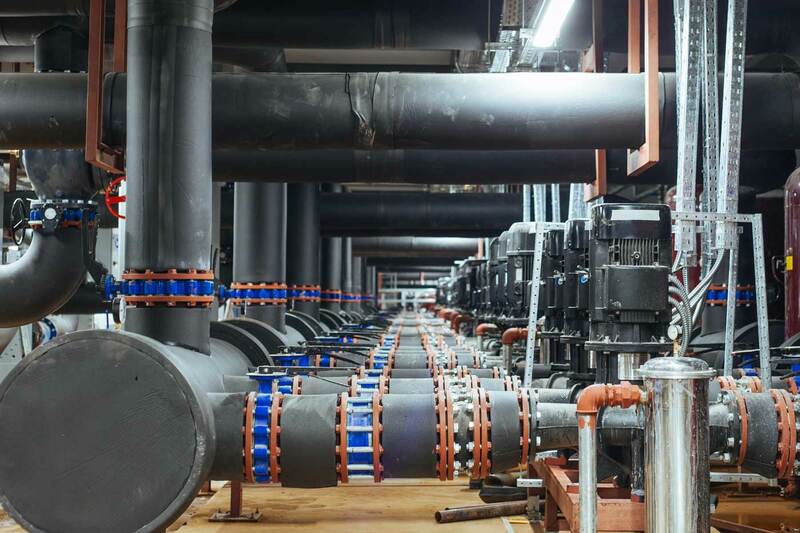 With the emergence of the industrial internet of things (IIoT) and the integration of physical machines with networked sensors and software, the lines between IT and OT are blurring. As more and more objects connect, communicate and interact with each other, there has been a surge in the number of endpoints and potential ways for cyber criminals to gain access to networks and infrastructure systems. Moreno Carullo, WG-15 Member and Co-founder & CTO of Nozomi Networks, believes that shifting from “looking for the bad guys” to “security-by-design” will change the way industrial cyber security is enacted. Such an approach increases the confidence of stakeholders by demonstrating not only the use of security measures based on best practices, but also that an organization has implemented the measures efficiently and effectively. A systems-approach works by prioritizing and mitigating risks to an acceptable level, which requires a neutral approach that accommodates different kinds of conformity assessment – ranging from self-assessment to independent, third-party testing – according to the different levels of risk. Many organizations base their cyber security strategies on compliance with mandatory rules and regulations. This may lead to improved security, but cannot address the needs of individual organizations in a comprehensive manner. The most robust defenses rely on both ‘horizontal’ and ‘vertical’ standards. Horizontal standards are generic and flexible, while vertical standards cater to very specific needs. Two examples of horizontal standards in particular stand out. A risk-based systems-approach increases the confidence of all stakeholders by demonstrating the use of security measures based on best practices, and the efficient and effective implementation of those measures. The aim of any cyber security strategy is to protect as many assets as possible and certainly the most important assets. Since it is not feasible to protect everything in equal measure, it is important to identify what is valuable and needs greatest protection, identify vulnerabilities, then to prioritize and to erect defense-in-depth architecture that ensures business continuity. 4. Apply the appropriate level of conformity assessment – testing and certification – against the requirements. The aim of the conformity assessment is to assess the components of the system, the competencies of the people designing, operating and maintaining it, and the processes and procedures used to run it. This may mean using different kinds of conformity assessment – ranging from corporate self-assessment or relying on a supplier’s declarations all the way through to independent, third-party assessment and testing – and selecting whichever is most appropriate according to the different levels of risk. IEC Working Group 15 was formed to develop end-to-end cyber security standards for power systems. The 121 members representing 21 countries meet face-to-face three times each year to discuss TC57 cyber security issues. In a world where cyber threats are becoming increasingly common, being able to apply a specific set of international standards combined with a dedicated and worldwide certification program is a proven and highly effective approach to building long-term cyber resilience. Standards and conformity assessment, however, can only have maximum impact as part of a risk-based approach based on a holistic assessment of threats and vulnerabilities. Such an approach incorporates not only technology, and processes, but also people, recognizing the essential role of training. IEC Working Group 15’s 121 members from 21 countries have been collaborating on the development of end-to-end cyber security standards for several years. Moreno Carullo, Nozomi Networks Co-founder & CTO, has been part of the group since 2015. During Vienna Cyber Security Week 2019, Moreno shared his thoughts on building resiliency in energy systems. 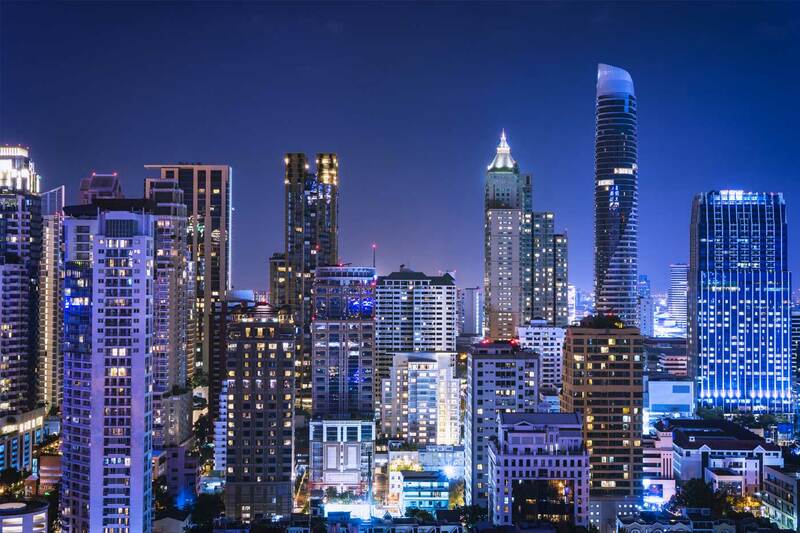 To learn more about why secure-by-design power systems are so essential, download a copy of his presentation “Cyber Resiliency of Energy Systems: Designing for Tomorrow while Taking Action Today”. 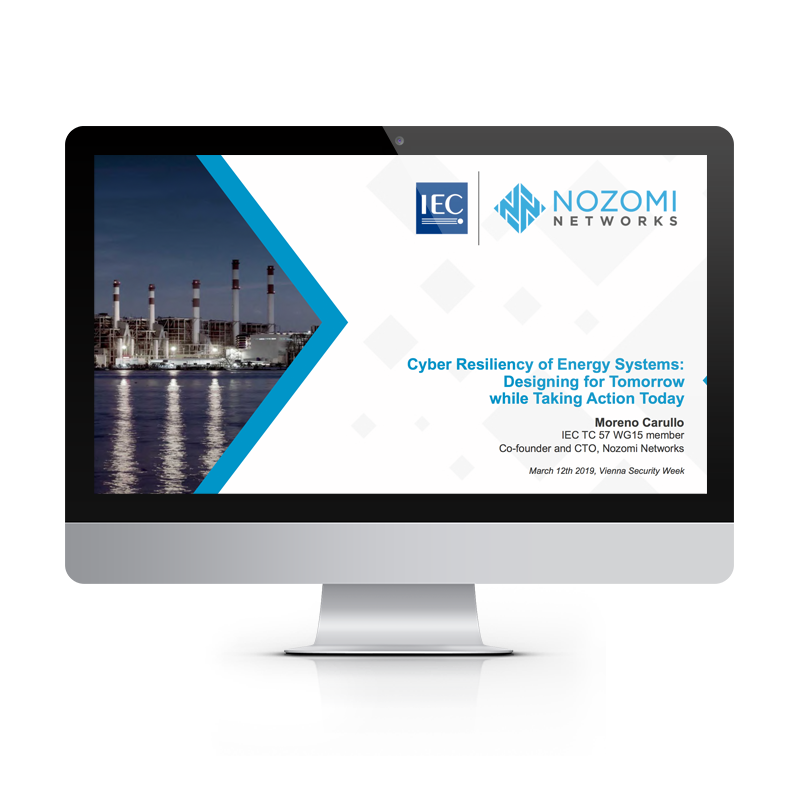 The original article “Cyber attacks targeting critical infrastructure” by IEC Advocacy Officer Michael Mullane, was published on IEC e-tech, and has been adapted with his approval for publication on the Nozomi Networks blog. Mike is an experienced journalist, technologist and manager. He has worked for the BBC, the Swiss Broadcasting Corporation, European Broadcasting Union and Rai, specializing in news and digital and online media. Mike’s work at the IEC focuses on AI and cyber security, including representing the IEC in OCEANIS (https://ethicsstandards.org/).